Besides the obvious struggles you would imagine a mother having after losing her sweet baby girl one big thing I've struggled with is contentment. And it's not that I am discontent with my life because I see others enjoying their new babies and wish that were me (although that happens too). I mostly struggle with discontentment because I desire the life I thought the Lord was giving me. I thought the Lord was giving me my dream: healthy Rieke babies every two years or so until our family felt complete. Instead He has chosen to give me one beautiful son to raise, one perfect daughter in Heaven, and a hole in my heart that I imagine will never be completely filled. I often find myself longing for something different; longing for the life I had so carefully planned out for myself. I pray the impossible Lord, bring her back! knowing full well it could never be but somehow wishing it was. When my mind wanders into this dangerous path of discontentment and coveting a different life circumstance I look to the example of one of my dearest friends. My friend Lauren had similar dreams. But God had a different plan for her life. He took her brokenness and has used it for His glory in amazing ways. She is touching lives in much bigger ways than her original dream would have allowed. Her wonderful example is such an encouragement to me. God puts hurts in our lives for a reason. It might take some time to see, but He uses those hurts to reach others in ways we otherwise could not. The name for Lauren's blog is Traded Dreams. This title came from a line of a song that posed the question: will you trade your dreams for His? Trading a dream is hard especially when you can't see exactly what you are trading it for. It's not easy and it's not comfortable. 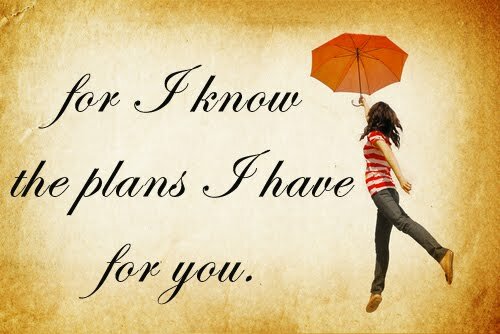 But the Lord promises good things to those who trust His plans and follow with a spirit of contentment and obedience. I'm sure you're right, Sarah. Think of how the traded dreams motif describes what we love about Joseph, Ruth, Daniel, Joseph and Mary, and so many of our favorite people in history. I think Joseph has to be one of my favorite Bible characters. Genesis 50:20 is one of the most amazing verses I think. I find comfort in it often. I didn't mean to spell your name wrong - total typo! Sorry!!! I understand trading dreams too. I love Lauren's name and concept for her blog/book :) Its so appropriate is so many of areas of life. I blindly assumed that marriage automatically led to stability and a home and kids a few years following. I never expected the things God has done/allowed in our life either... but the good new is that many (if not most) of your 'dreams' can still take place. You have many of your dreams already :) ...and the time frame for some dreams may be just a bit off... and a sweet little member is missing, which hurts. It's difficult though, to take steps in the dark especially after times when we though/fully believed that God's was leading us in a particular direction. I don't know, but for me... it 's hard to trust my own (God hearing or God following) ability. And it's sometimes difficult to fully believe that God will give us the desires of our hearts when our hearts have been broken because our deepest desires didn't come true. But... all that to say. Trading dreams and faith through darkness is a very mature kind of 'faith', I think. Perhaps this is what real faith is. Life probably never really looks like we thought it would, or should. We have to work to let go of preconcieved notions that sabotage our capacity to see more, and be more. And these are just a bunch of words until experience proves them, that's where faith and trust come in. I think, as you are being shaped in the Potters hand, He is satisfied, and smiles at the Masterpiece you are becoming. LOVE this, thanks for the reminder and encouragement! You're welcome. I need constant reminders of this truth!